Reid A. Firestone has been called as senior pastor of the Homerville, Ohio, Grace Brethren Church. He began full-time ministry on June 1, 2012. Pastor Firestone has served congregations in Medina, Brook Park, North Canton and West Salem, Ohio, in more than 20 years of pastoral ministry, and he has also provided fill-in and renewal service preaching to numerous congregations. A graduate of Black River High School, he obtained his undergraduate degree at Ashland University and his master’s degree at Ashland Theological Seminary. He has also studied through Malone University, Moody Bible Institute and Trinity Evangelical Divinity School. Pastor Firestone and his wife Terri live in Spencer, Ohio. They have two adult children, two grandchildren and are expecting a third grandchild in December. 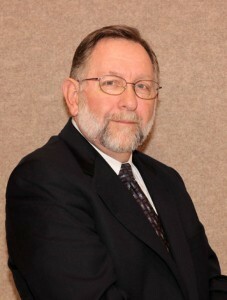 Reid is a member of the board of directors at the Farmers Savings Bank and J. B. Firestone Trust Board in Spencer. He also a licensed funeral director in the State of Ohio, and he worked in the banking/insurance/finance industry prior to being called to pastoral ministry. The Homerville Grace Brethren Church is located at the intersection of Firestone Road and State Route 224 in Homer Township (just east of the Ashland County/Medina County line). The congregation meets for worship services on Sundays at 10:30 a.m.